Texas A&M University's (TAMU) Aggie STEM will hold four science, technology, engineering and math camps for students in middle and high school this summer. 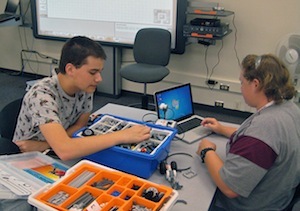 In its sixth year, the program's camps are designed to "provide students with technical, and social experiences in STEM education through real-world project-based learning activities and world-class university experiences with Texas A&M professors actively working in STEM fields," according to a news release. "These experiences help students develop their problem-solving and teamwork skills as well as providing insight into the STEM disciplines." Students will also have the opportunity to go on field trips, designed to boost confidence and offer networking opportunities, to places like Disaster City, Adamson Lagoon and Grand Station. More information is available at aggiestem.tamu.edu.